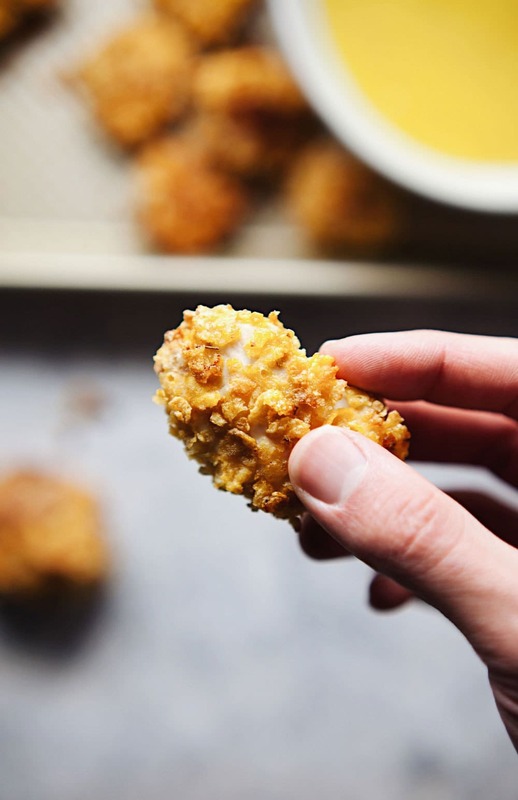 Healthy Baked Chicken Nuggets are coated in corn flakes and baked until golden brown. They’re super easy to make, kid-friendly, and are great as appetizers. Today, we are talking YUMMY popcorn bites and our brand spankin’ new website! Heyyoooo. We hope it is a site you can navigate and get easy access to all things YUM. Now it’s time for us to discuss game day eats. 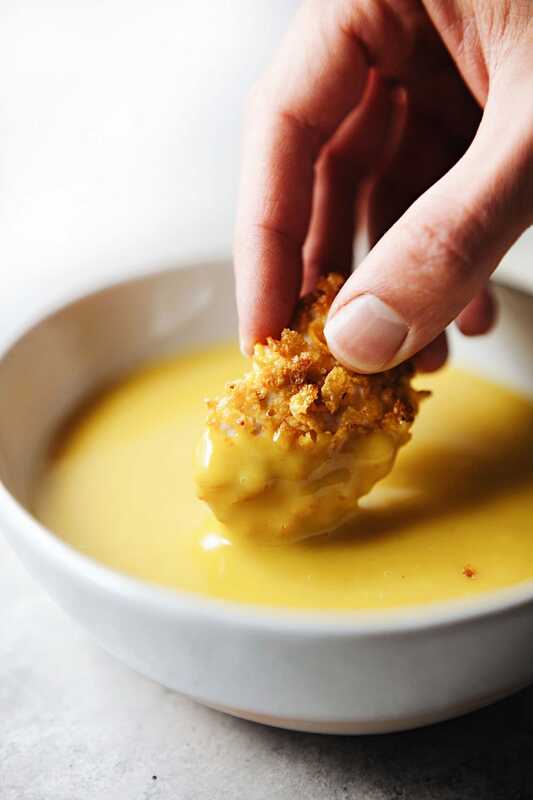 I don’t know WHO doesn’t love a good popcorn chicken and honey mustard dip. To me that’s appetizer I flock to. I really don’t care for football… Like, at all. But I’m all in for the food. And all of my Superbowl food thoughts brought me to this recipe. 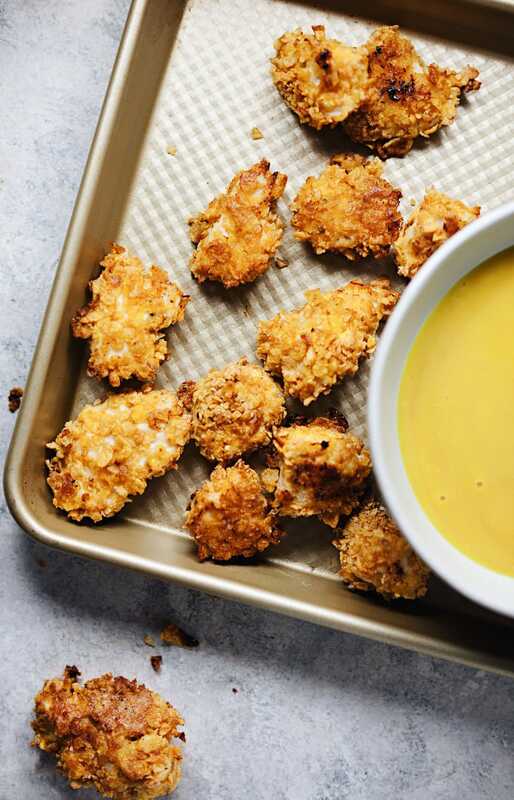 Delicious popcorn chicken bites baked with tender chicken on the inside, and a crunchy crust of corn flakes and seasoning on the outside – heyyyooo. They are so yum, simple to make, and are the best paired with a side of honey mustard for dipping! If you make this recipe, let us know! Comment or rate this recipe below. Feel free to share your recipe on Instagram for us to see as well! #asimplepalate. Cheers to the weekend and Superbowl Sunday! These are coated in corn flakes and baked until golden brown. Super easy to make, kid-friendly, and are great as appetizers. Preheat oven to 400F and brush sheet pan with olive oil. Cut chicken into cubes/smaller pieces and set aside. In a large bowl use your hands to crush corn flakes until crumbly. Add salt, pepper, garlic powder, oregano, and cayenne - mix ingredients together. Whisk eggs and milk together in a shallow dish. Set up an assembly line with chicken, milk & eggs, and corn flake mixture. First: coat chicken with egg and milk mixture. Second: thoroughly coat chicken in corn flake mixture on both sides. 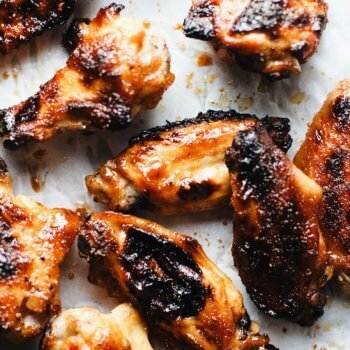 Lay chicken on oiled sheet pan and repeat process until all of chicken is used up. Bake chicken for 8 minutes on each side - total time for me was 16 minutes. Time can vary depending on size of chicken bites. Serve warm with your favorite dipping sauce! 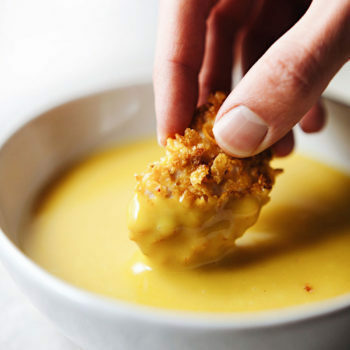 Serve with honey mustard sauce or your favorite dipping sauce. YUM! Can’t wait to try.? 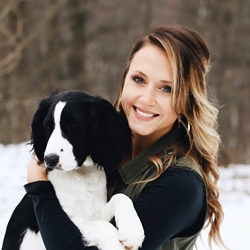 Bethany – These are amazing! My husband, daughter, AND 1 year old grandson gobbled these right up! YUM!! These will be a weekly staple at my house! 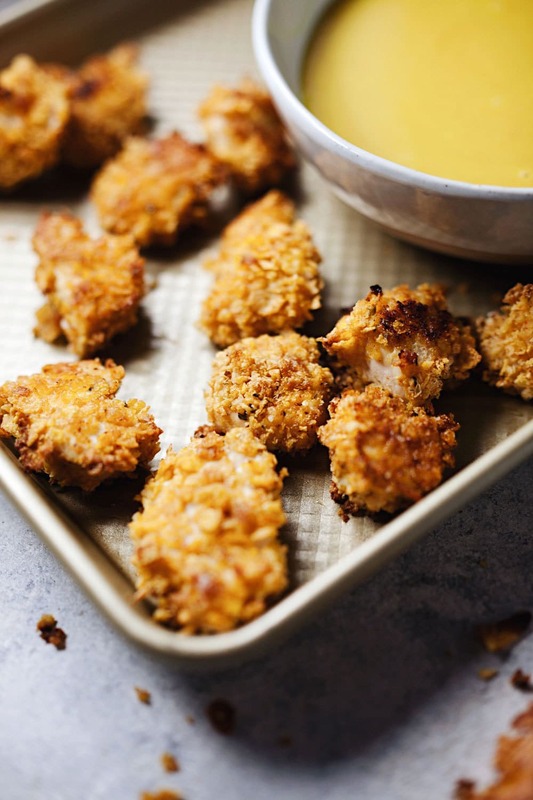 Healthy chicken bites – Yes Please! Thanks for sharing!